The Boutinon familly, originally from the Perigord, have been wine growers from their arrival at Nérigean in the Bordeaux wine region, in the 1910s. 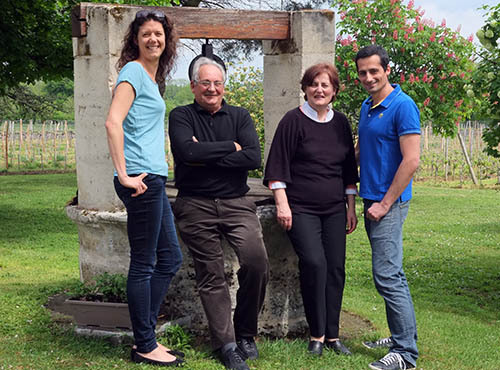 In 1972, André and Renée Boutinon became the owners of the domain Hostin in Saint Quentin de Baron: Château Roc Hostin was born. In 2015, Catherine and Jerome Boutinon continue the story by taking on the family estate. After careers in engineering (Airbus and telecommunications), these new wine growers want to give the estate new momentum by bringing in a fresh perspective and a different mindsent. 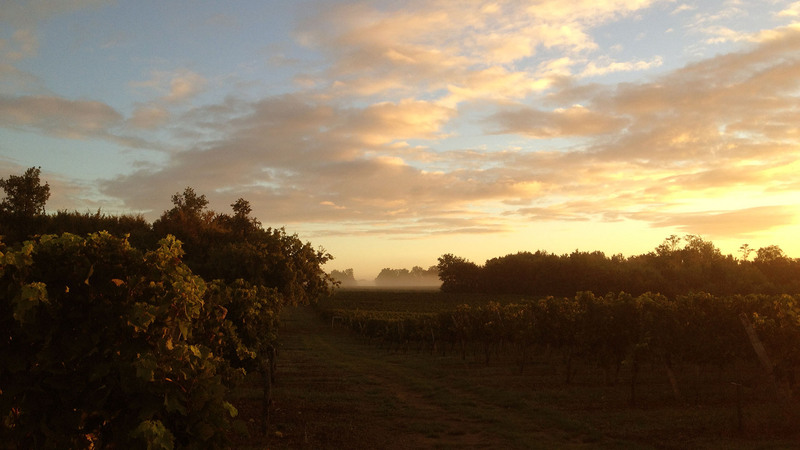 The family shares their name with an old Bordeaux grape variety: Boutignon. Some distant Gironde relatives probably lended their name to this now almost extinct grape. Nested on high hillsides offering an ideal exposure, the domain covers more than 20 ha. One half surrounds the house in Saint Quentin de Baron in Entre-Deux-Mers, on a South-Southeast oriented hillside. 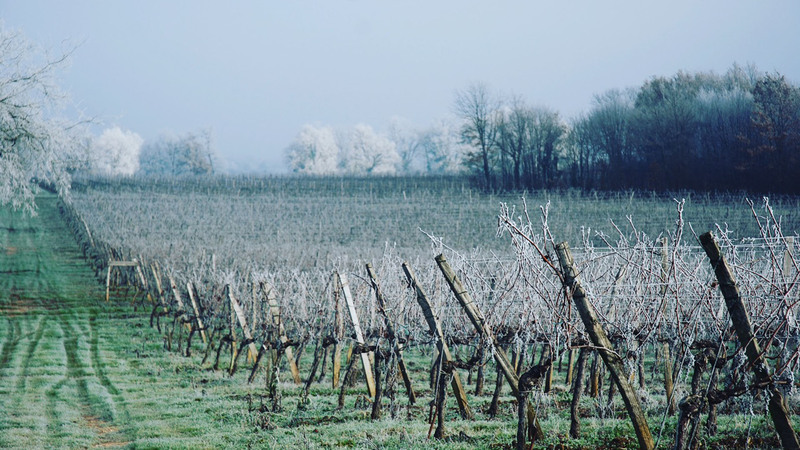 In Nérigean, the other half is formed of a large number of plots bringing great richness to the domain’s wines through the diversity of soils. The vines are on average 27 years old with the following grape varieties: 85% Merlot, 10% Cabernet Sauvignon, 5% Cabernet and Sauvignon Gris. 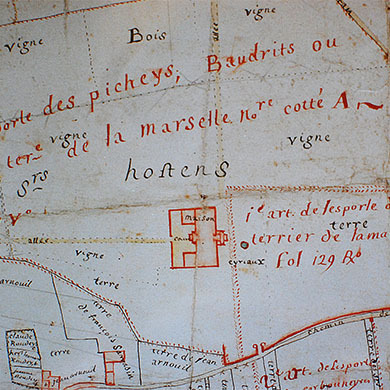 The origins of the estate date back to the mid eighteenth century. 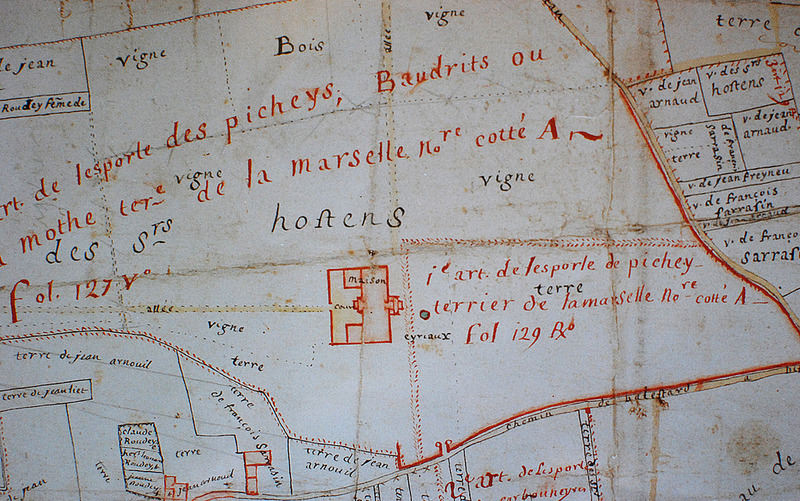 Old maps made at the request of Montesquieu when he bought the castle of Bisqueytan in 1750 show that the adjoining property of sieur Hostens has changed very little since those days. The soils, characteristic of hillsides, are clay and limestone with a subsoil stony to limestone depending on the plot. 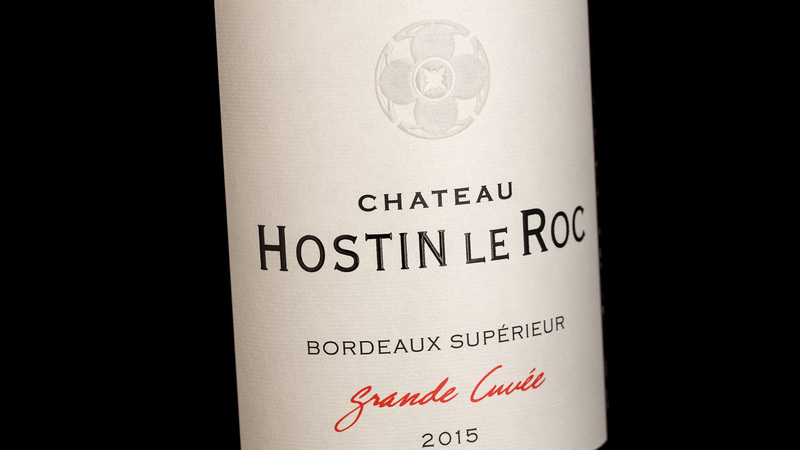 This often uncompromising terroir gives the wines of Château Roc Hostin their full tone. The vines are sustainably grown. 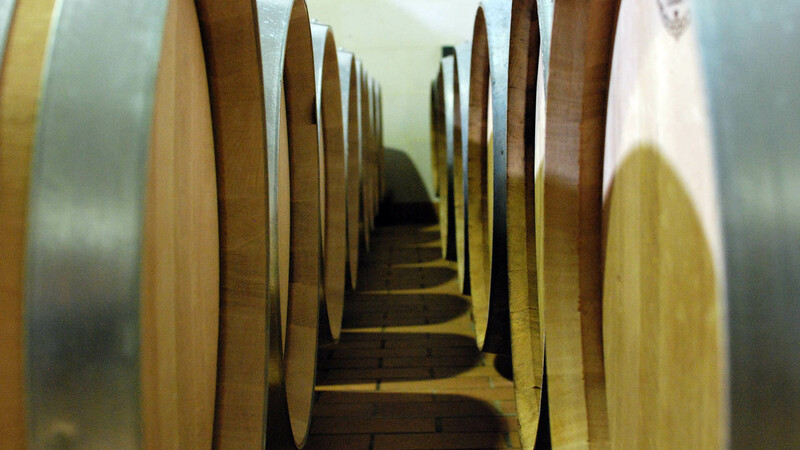 Dry white Bordeaux wines, 100% Sauvignon and Sauvignon grey, are matured on the lees for a round structure. Very fruity and aromatic, they are ideal with fish or seafood. 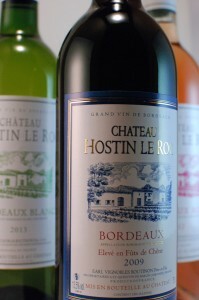 Bordeaux Rosés are a blend of Cabernet Sauvignon and Black Merlot. Tannic, fruity and well-rounded, with character, they are perfect companions for aperitifs or summer cooking.